We’re entering the next phase of our business at Figma, and there’s a lot of work ahead of us. As the tech industry matures, more companies are realizing how important design is for building products customers love. Major corporations like IBM and GE are going on designer hiring sprees and companies like Facebook are trying to to hire one designer for every four or five engineers. Despite this insatiable demand, the technology designers need to do their jobs hasn’t kept up. Designers need tools that make collaboration easier, and we’re using that as our north star as we plan the future of Figma. On that note, I’m excited to announce two new major hires: Eric Wittman, formerly of Atlassian, has joined as our first COO, and Kris Rasmussen, coming from Asana, will be our new Vice President of Engineering. Eric and Kris are seasoned pros at growing collaboration companies, and they’ll help us make the most of the opportunity in front of us. To give you a little background on the fresh faces, Eric’s an industry veteran who previously ran the Developer Tools business at Atlassian, including Bitbucket. At Figma, in addition to scaling processes like recruiting and finance, he’ll be focusing on GTM and revenue. While Eric has only been at Figma for a few months now, he already helped us launch our pricing model and nail down company strategy + values. I’m not surprised Eric’s such an effective strategist — when we first met, his unconventional back story showed he would be. In his early years, he started in customer support at Macromedia, but through determination and ingenuity ultimately rose through the ranks to become the lead product manager on Flash. He picked up startup experience as the CEO of music player Songbird, and learned the ins and outs of SaaS and bottoms-up business models as GM of Developer Tools at Atlassian. For an operations pro he’s deeply passionate about product — in fact, I initially passed over him in our first interview because he spent so much time talking about our application that I thought he was solely a product guy. But it turned out he’s a business expert who just happens to geek out on product — a perfect fit for Figma. We initially brought Kris in as a part-time contractor. Even though he was only here two days a week he quickly became an informal leader on the team in a powerful, unassuming way. He was always the person saying what needed to be said or helping move the ball forward when disagreements arose. As we dug into Kris’ background, we learned Kris was not only an incredible engineer, but also an accomplished leader. 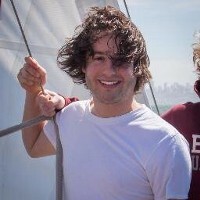 He ran engineering at Asana in its early days, which gave him experience both guiding a team and building infrastructure for collaborative tools. Before Asana, he helped scale engineering at Aptana, a company which makes developer tools for web applications. Lastly, on his own personal projects, he worked on some super interesting applications of 3D graphics. Kris will help us continue to build a world class technical team at Figma, and oversee many of our engineering projects. I couldn’t be more thrilled to have him on board. We’re only just getting started at Figma; there are many exciting opportunities and challenges ahead of us. If you’re a talented engineer, designer, writer or product manager with a deep passion for design, please check out our open positions and get in touch.